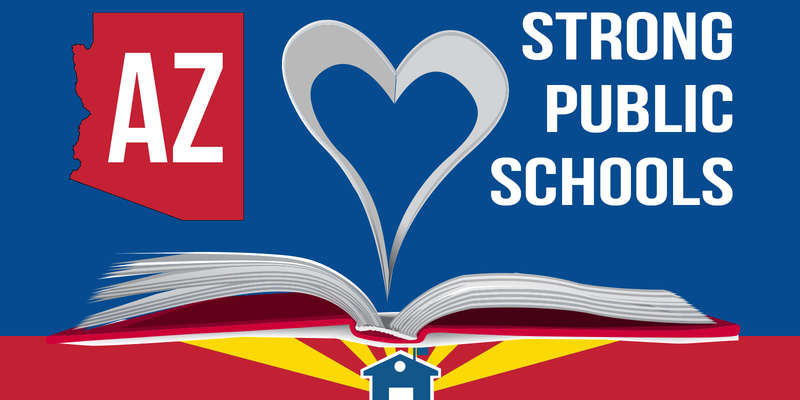 AZ Schools Now is asking citizens of Arizona to sign their Pledge To Support Strong Public Schools. Our students receive 31 percent less in per pupil funding than the national average. Lowest-in-the-nation teacher pay has left thousands of classrooms without qualified, full-time teachers. Expanded Education Savings Account (ESA) voucher subsidies biased toward high-income families is exacerbating an already large achievement gap. Repealing the taxpayer-funded ESA voucher expansion because Arizona cannot afford to fund two education systems: one public, one private. Nicky also pointed out that education must be a state priority. The State budget and taxes are the foundation for achieving our common priorities that will lead to more quality jobs, a strong economy, strong schools and thriving communities. Arizona has one of the fastest growing populations in the nation. This means it is critical for state lawmakers to make budget and tax decisions with a vision for how those decisions being made today will impact to future of whether we will have enough to invest in our schools, roads, public safety, and healthcare. Time to ask, where is the leadership, what is the plan, and why do we not have strong schools? Most research focuses primarily on academic outcomes or school finance. However, a more comprehensive approach accounts for performance, funding, safety, class size and instructor credentials. To determine the top-performing school systems in America, analysts compared the 50 states and the District of Columbia across 21 key measures.including test scores. On this metric, Arizona was ranked 41 with a score of 40.91, one place worst than Nevada at 40 and one place better than Tennessee at 42. First was Massachusetts with a score of 78.16. Last was Louisiana with a score of 27.42. – Originally written by Tom Graham President, Big Park Regional Coordinating Council on 03/27/2018.